Made of Italian Crepe with a hint of stretch, our jumpsuit features a strapless sweetheart bustier with an easy wide leg pant. 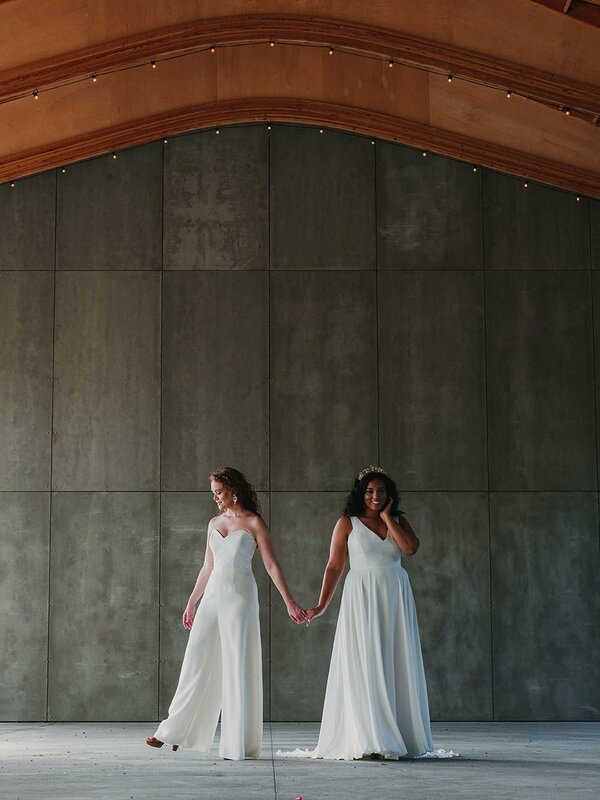 Minimalist chic for the modern bride. The bodice is softly constructed with boning and bra cups.